Melt the butter with the chocolate in a small saucepan on low. Meanwhile, mix the cocoa with the sugar in a small bowl. 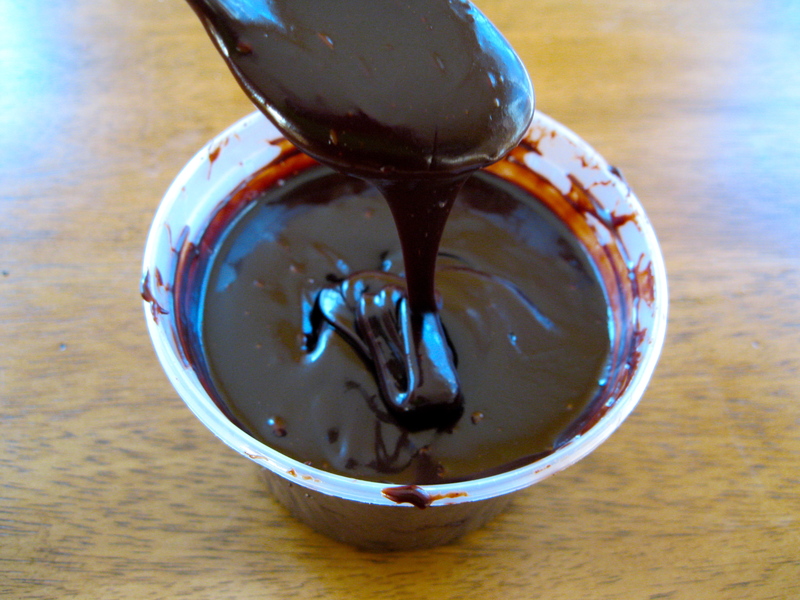 When the butter and chocolate are melted, add the cocoa/sugar mixture, and mix thoroughly. Then add the milk and salt, stirring well. Raise the heat and bring the sauce to a boil for 1 minute, stirring constantly. Off the heat, add the vanilla. Note: this keeps in the fridge indefinitely, and freezes too. So I always triple the recipe. Why triple? Because what can a person do with a leftover half a can of evaporated milk? A triple recipe uses the whole can. I am SO happy to get this recipe. Thank you, Judy and Kate! !